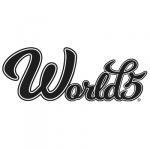 Sign up for Broadjam today to follow WORLD5, and be notified when they upload new stuff or update their news! You And I the music video features World5 lead singer Don Bruner and actors Erika Fitzgerald and Kris Eklund. Shot on location at Rhinos Gym and at Rancho Buena Vista both in Vista, California the video was produced and directed by Jim Ellis and Elias Acosta of Inspired Images/Vista Films International. The video depicts the story of a young couple on a vacation that turns into something very special for them. "You And I" is the first single from World5s debut album "Global Experience".2012.